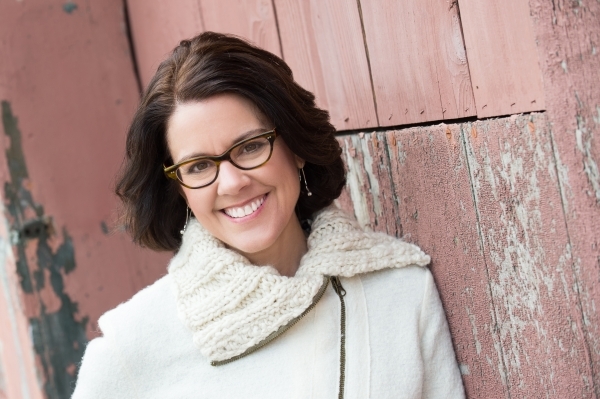 Ann Handley, Chief Content Officer at MarketingProfs, shares her take on the art, science, and heart of marketing. For several years, content marketing has been the best invention since sliced kale for both B2B and B2C businesses. But it’s constructive to step back and take a higher-level look at today’s marketing, its technology — and the people using the technology — and what shape the elastic marketing sphere might take in days to come. For that, we turn to Ann Handley, Chief Content Officer at MarketingProfs, author of Everybody Writes: Your Go-To Guide to Creating Ridiculously Good Content, and one of the industry’s most insightful — and approachable — luminaries. Some of us fully embrace all the tech that so permeates marketing these days. And some of us run for the hills. How do marketers find/encourage/defend the balance between the numbers and softer skills such as storytelling (and even intuition)? Historically, marketing has put all our emphasis on the art, and not on the science. Lately I’ve noticed the opposite: A lot of emphasis on the science, less on the art. The truth is this: Marketing is part art, part science. I balance it like this: Use data and technology to inform what we create and who we are talking to and how we create. But let’s also rely on our own sensibilities for what our audience needs and will value. Let’s also rely on creativity and art. This is why I believe so deeply in content marketing, by the way. I believe that content is the very thing that aligns storytellers, artists, writers, technologists, and analysts. Marketing will always have the heart of a storyteller, the soul of an artist, and the playful spark of spontaneity. Or the best marketing does, anyway. Speaking of tech tools, which ones are the biggest game-changers for content marketers now? I’m always hesitant to name a “game-changer” in marketing, because I fear that too many will make a beeline for that shiny object and ignore things that still need some work. 1. “Content marketing” becoming simply “marketing.” I’ve had a few conversations with enterprise CMOs lately who increasingly don’t differentiate between “marketing” and “content marketing.” And that will continue. 2. Virtual reality. This morning I tweeted a story about how virtual reality is being used in crime scene re-enactment for jurors. Excedrin uses virtual reality to increase empathy for migraine suffers (which includes me, by the way). We’re only at the beginning of seeing how virtual reality changes our lives, and that includes marketing. How can marketers look outside of an insular marketing world to stay broadly engaged, so that their marketing efforts draw on deep wells? Look outside of your own industry and discipline. Steal liberally from B2C, if you are B2B. Steal liberally from B2B, if you are B2C. Talk to teenagers. Go to a poetry slam. Read good fiction. Read good nonfiction. Inspiration is everywhere. Keep your receptors open. Tom Bentley has been published in the LA Times, San Diego Union-Tribune, and Forbes, as well as Wired, Draft and The American Scholar, In addition to his newspaper and magazine work, he is a B2B and B2C copywriter and editor.